Those who have been using Windows for many years will appreciate the simplified version of File Explorer that comes in Windows 10. Things are certainly easier to sort through in File Explorer now, but there are also ample ways that you can customize what you see coming from File Explorer as well that most wouldn’t appreciate unless they’ve specifically gone looking for the options that are out there. You aren’t alone if you’re wishing for some more advanced features in File Explorer, but the options out there for folder views are where it really excels. Your folder views are what makes sorting through your files more efficient after all. 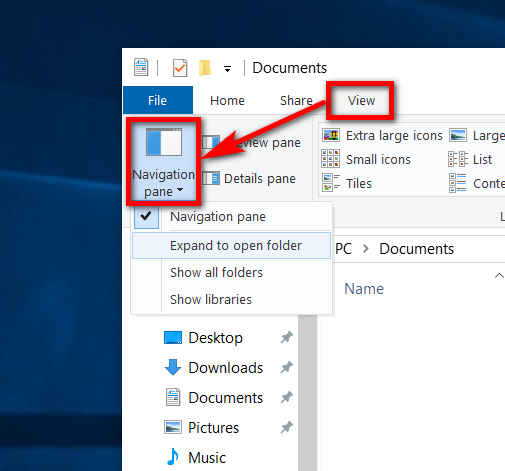 One of the main tweaks you can make to the folder view is in the navigation bar (the bar you see to the left of File Explorer when you’ve got the File Explorer window open). By default the navigation pane shows the pinned Quick Access items, and top-level folder categories that you can clock to expand through the folder trees. And when you do, you’ll see the contents of the folders in the right pane. To customize the navigation pane, you can click on the “View” tab and then clicking on the “Navigation pane” button from the menu. From the Navigation pane button you have four options to choose from that’ll tweak it from its default settings: hiding the navigation pane, automatically expand folders to show what you’re looking at, showing all folders in a single format so there are no parent folders (which also adds the Recycling Bin and Control Panel), and the chance to show the same Libraries feature that came with Windows 7. 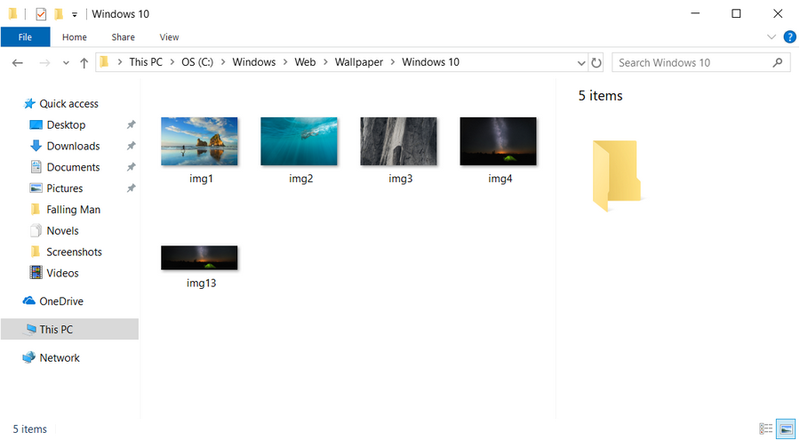 Another option you’ve got for tweaking the folder view is to extend your view by using the Preview and Details panes. You’ll find these two options from the same ribbon after clicking on the “View” tab. If you select the Preview option, you’ll get a preview of what the file contains in the right side pane of File Explorer. A preview of an image file will show the image, while a preview of a text file will show you the first few paragraphs of the text. It’s also possible to get previews from apps that you’ve installed, but what exactly you get to see as a preview depends on the app that you’ve installed. Should you select the Details pane, you’ll get a smaller preview of the image or text, plus other information that helps you identify the image. A typical picture file, for example, will show the file size, dimensions, and any metadata that you might have added such as titles and ratings. In addition, you still have the chance to change layout options, add extra columns for dates and tags et cetera, sort the contents of a window, groups the contents of a window, use checkboxes to select items and file name extensions, and tweak the folder and search options comes with its own set of features as well. All in all, if you’ve played around with the folder options, it wouldn’t be a surprise to anybody if you’ve forgotten what the default settings were before you started. But never fear: Microsoft has a built-in setting that allows you to reset the folder view for all folder in Windows 10 so you don’t have to spend time pondering. 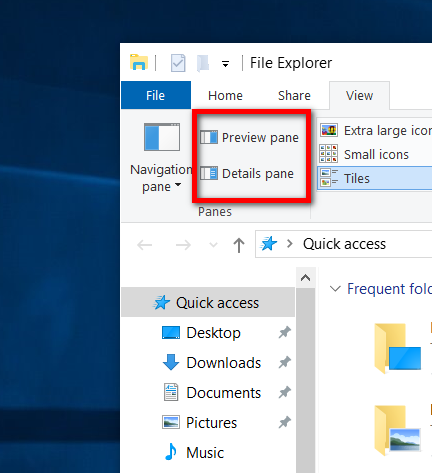 Here’s what you need to get the default settings to the folder view in File Explorer back again when you’re using a version of the Windows 10 operating system. 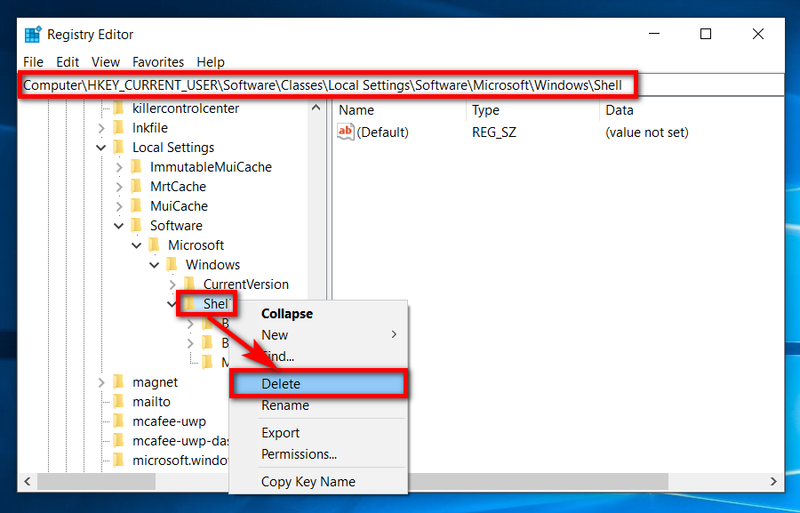 You can reset the folder view settings for all folders from the Registry Editor application in Windows 10. To get started, open the Registry Editor app. Under the Shell key, right-click on the “Bags” subkey and then choose to delete it. Next, delete the “BagMRU” subkey as well. Restart Explorer or restart the computer for the changes to take effect. You could also reset the folder view for all folders by creating a batch file using Notepad if you preferred. To do that, type “Notepad” into the search field in the taskbar and click on the “Notepad” desktop app under the Best match section. echo This batch file will reset folder view settings for all folders and restart Explorer automatically. echo Folder view settings will be backed up to the Desktop before being deleted. set /p "answer=Press [y] to continue"
Choose to save the text as a *.cmd file from Notepads menu.